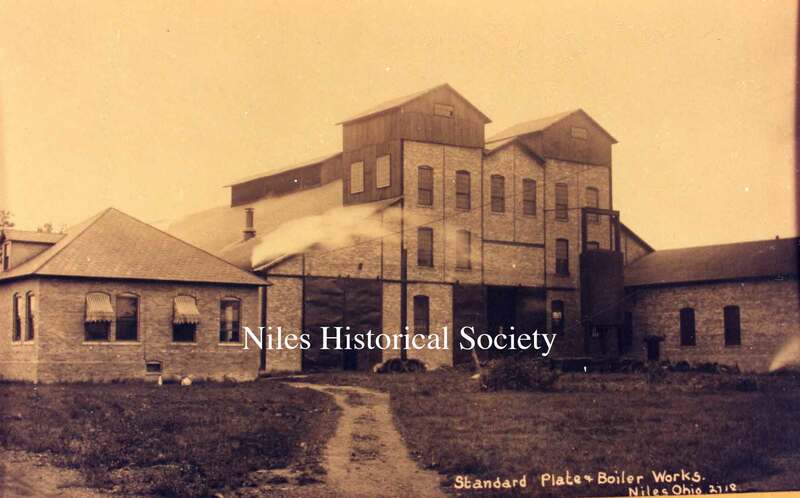 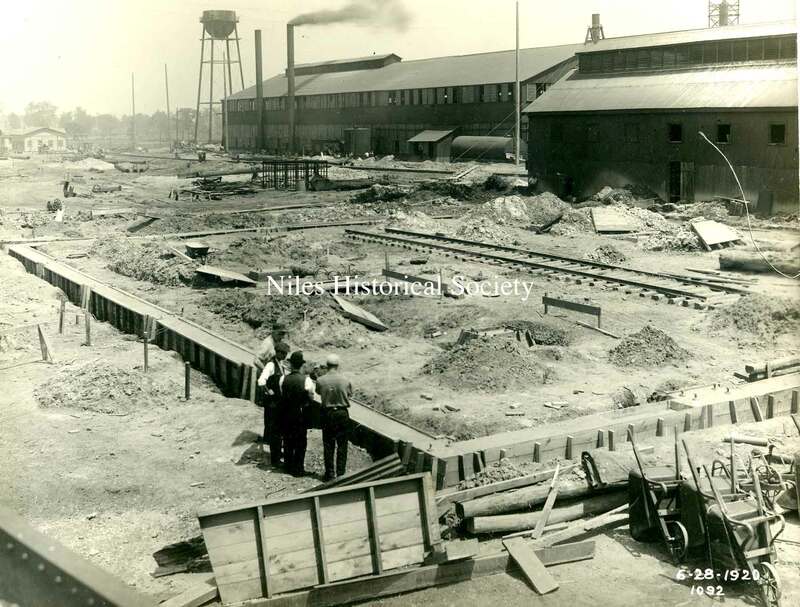 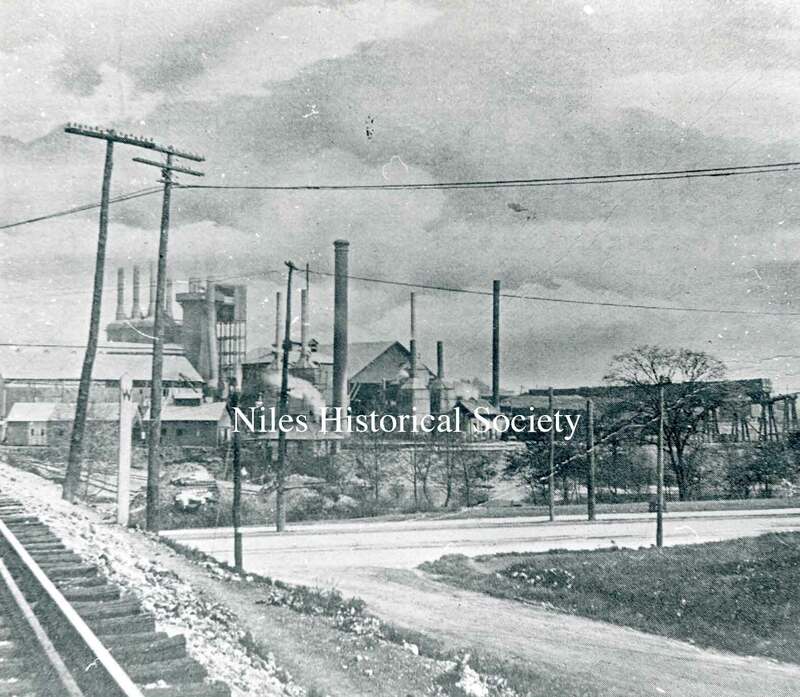 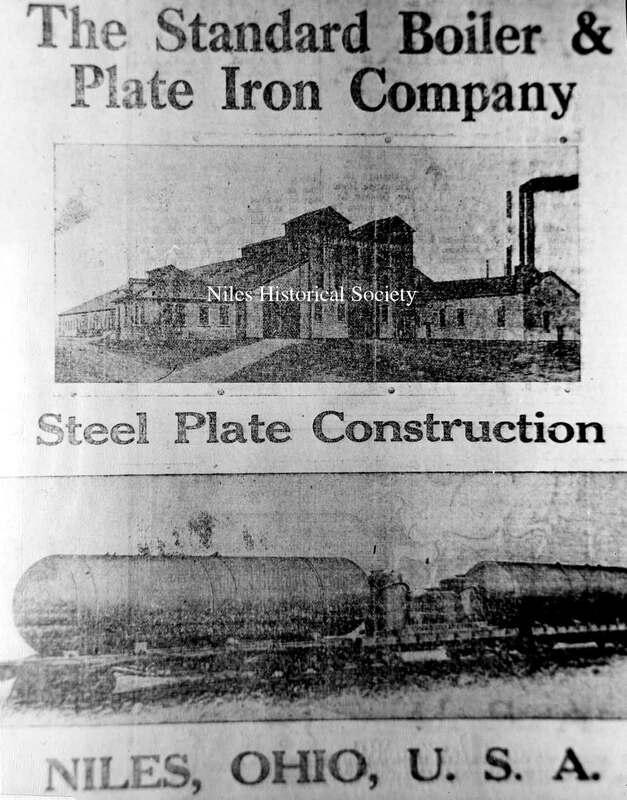 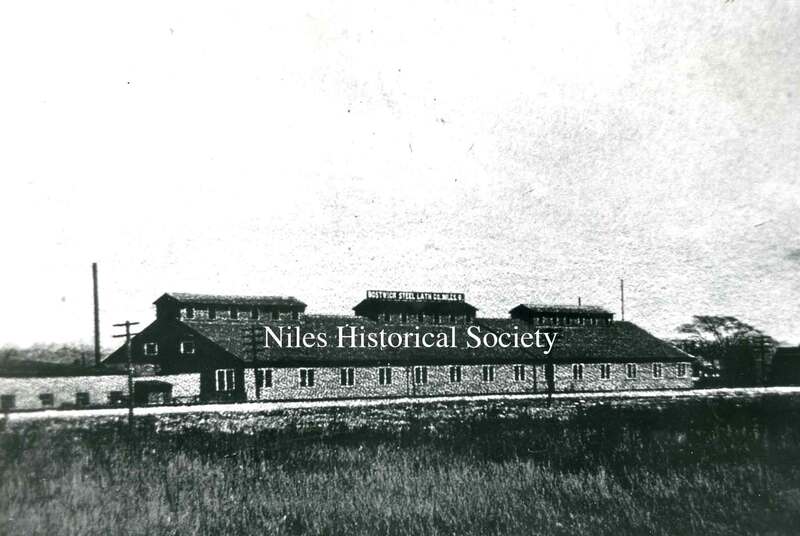 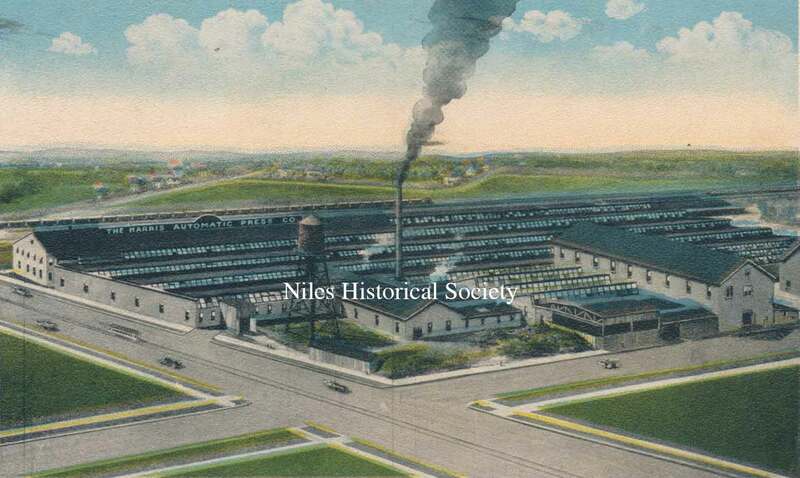 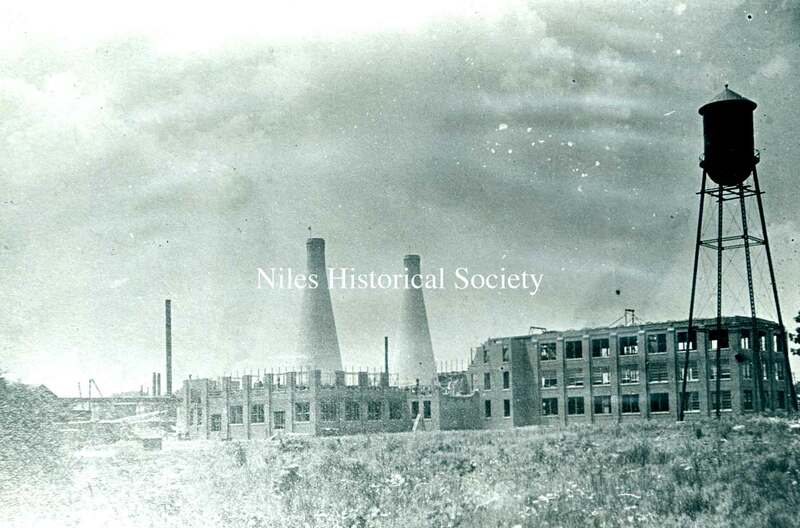 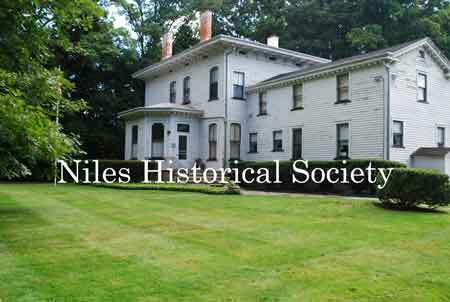 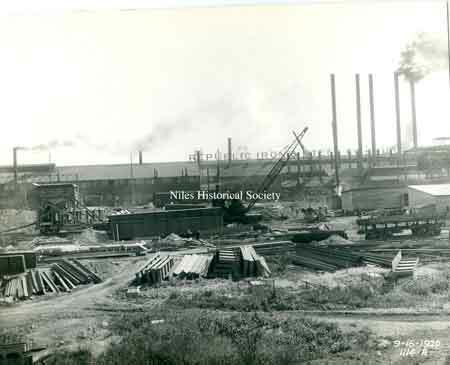 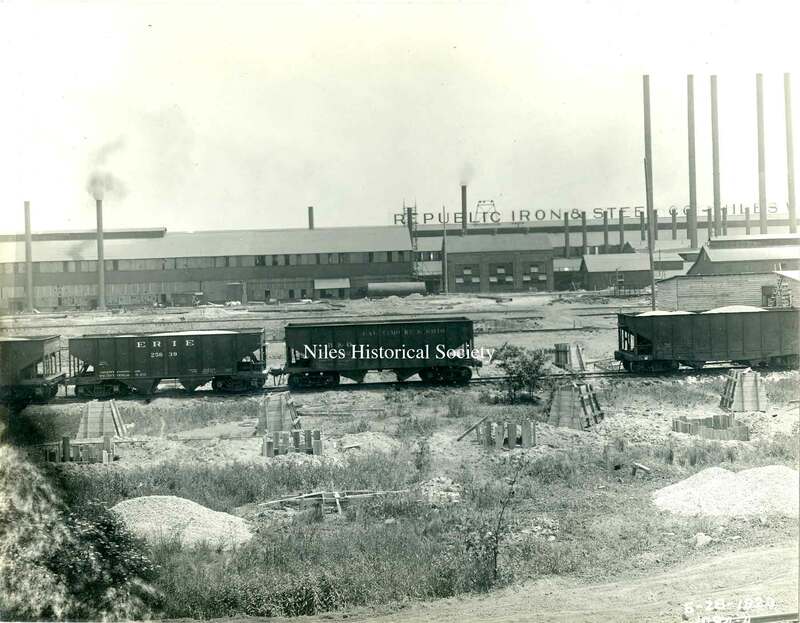 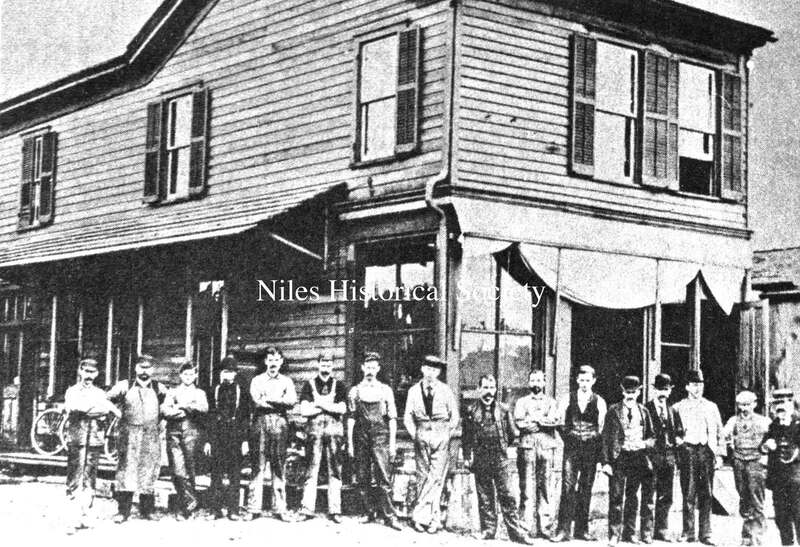 During the first three decades of the 20th Century, 1900-1929, fundamental changes occurred in the industrial develpment of Niles.By 1900, the iron and steel industry had reached maturity. The consolidation of small, isolated plants signalled the impending of the locally-owned mill. 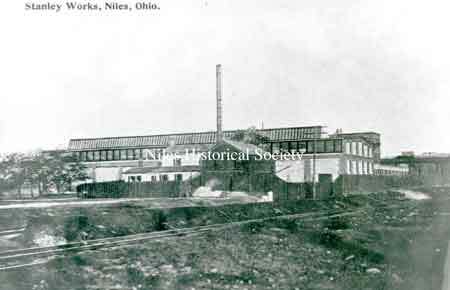 By 1905, every one of the local iron and steel mills were gone: Falcon Iron & Nail, Russia Mill, the original Ward Mill, later the Coleman-Shields mill. Undaunted by the virtual collapse of the city's industrial foundations, Niles industrialists, led by the newly-organized Board of Trade, established a new diversified economy which doubled the population over 30 years. 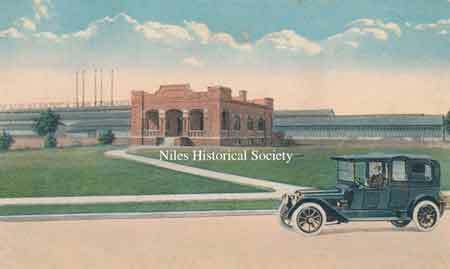 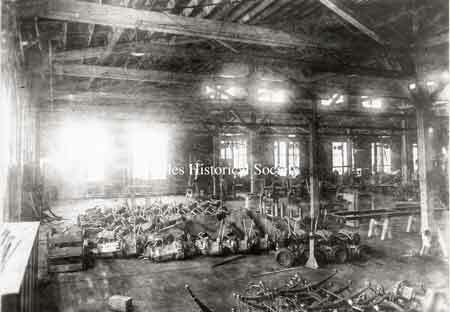 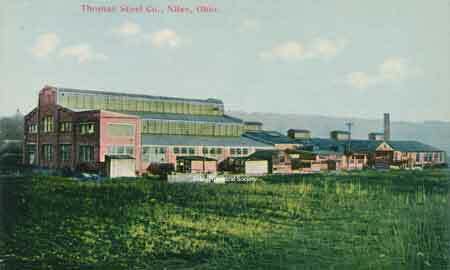 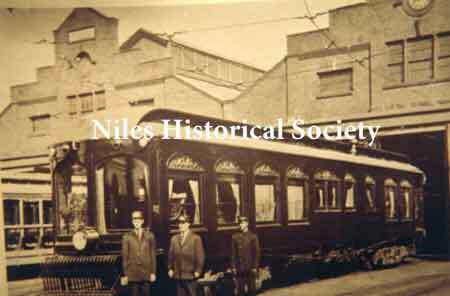 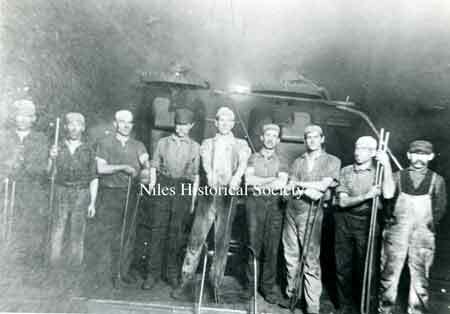 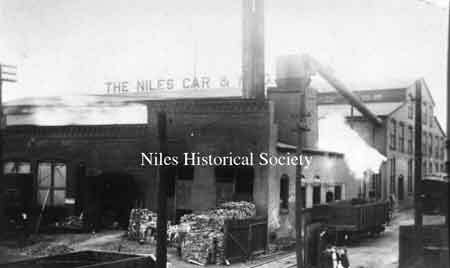 Two new rolling mills were opened in 1902, the Niles Car & MFG. 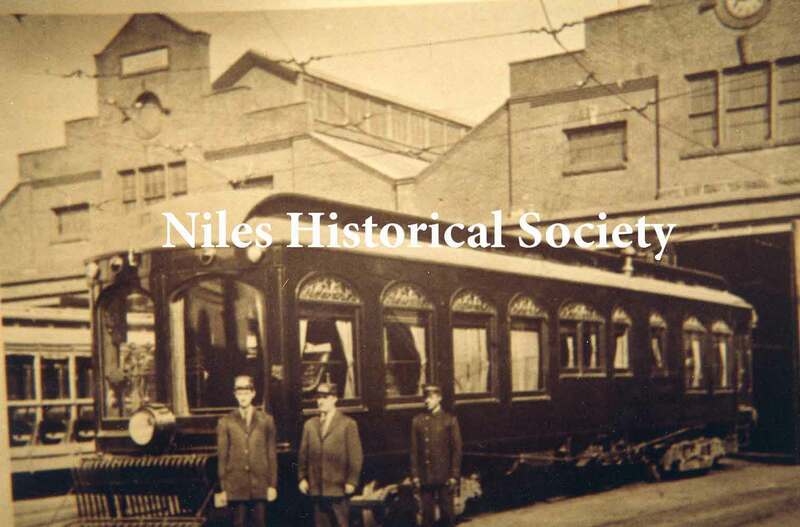 began building electric street cars in 1901 and later trucks then planes during WWI. 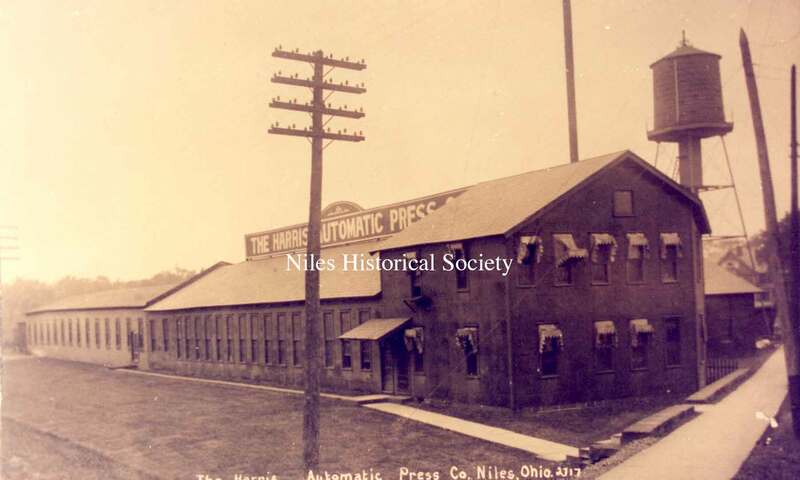 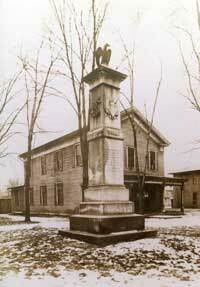 The Harris Automatic Press Company, with a Niles family as its founders, operated until 1914. 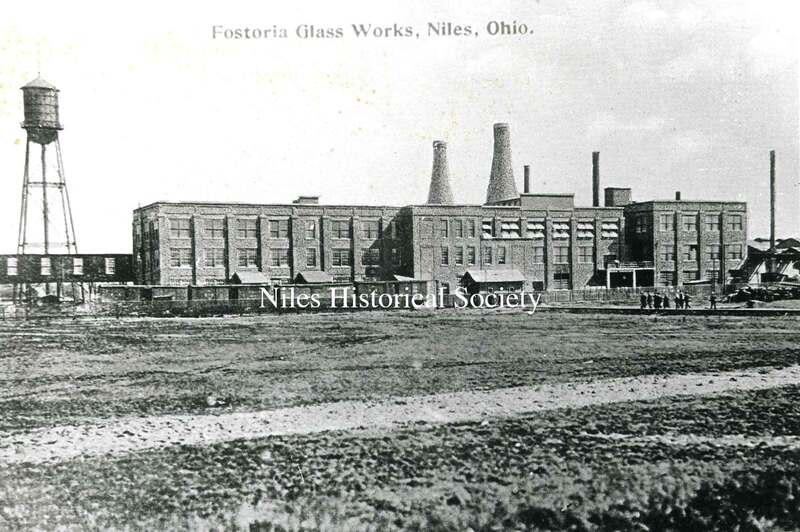 The Fostoria Glass Works began operations in 1910 and was soon acquired by General Electric. 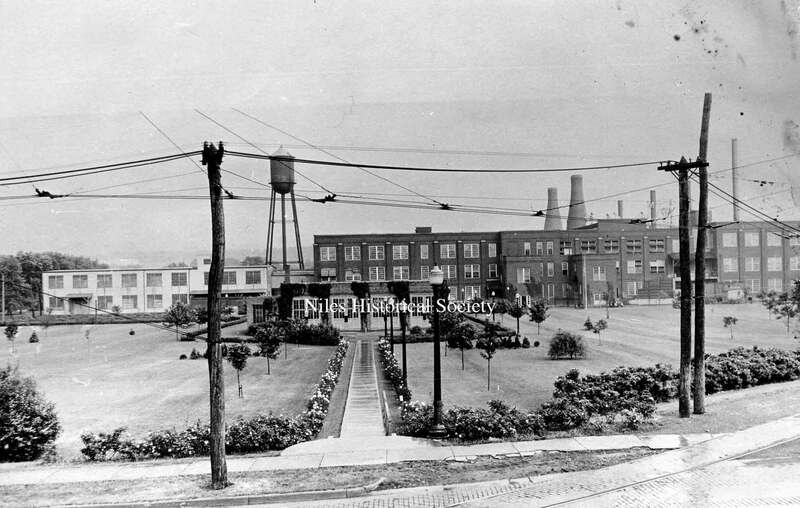 The Bradshaw China Company started operations in 1901, later becoming the Tritt China Company in 1910 and in 1923, the Atlas China Company. 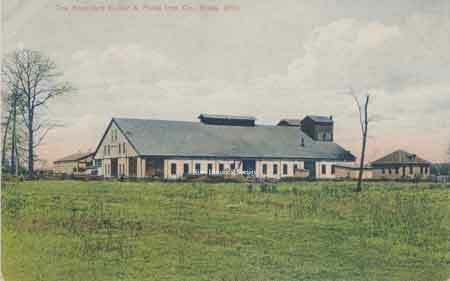 The prospering Niles Fire Brick Company built a second plant on Langley Street. 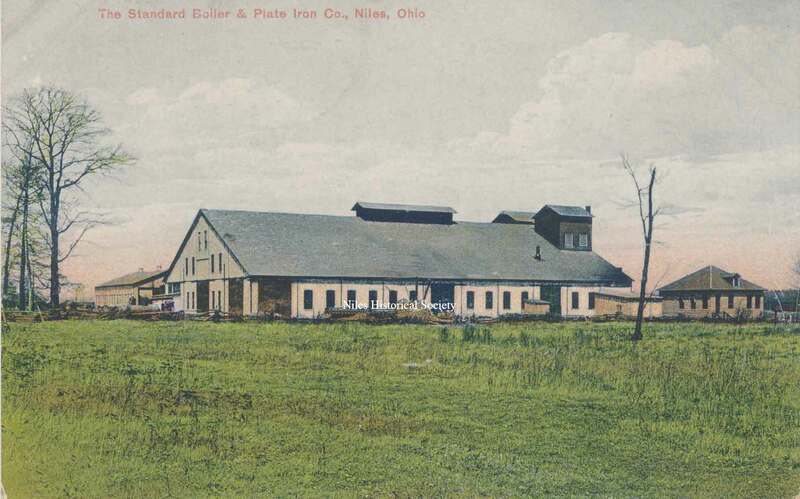 Other new inustries were: Standard Boiler & Plate, Stanley Works, Niles Iron & Steel Roofing, Ohio Galvanizing, Sykes Metal Lath, Niles Forge & Manufacturing, and Wilder Manufacturing. 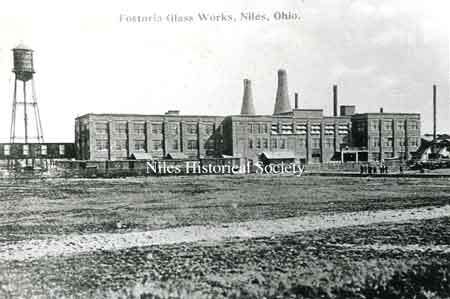 Hand blown glass bulbs were the initial products. 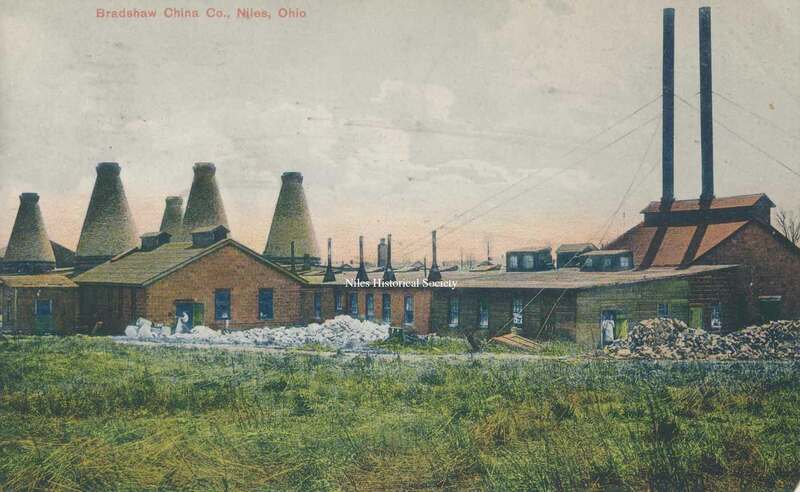 Large circular kilns contained molten glass in pots which was extracted through 16 curtain doors on the end of five foot tubes by gatherers who handed the tube to the blower. 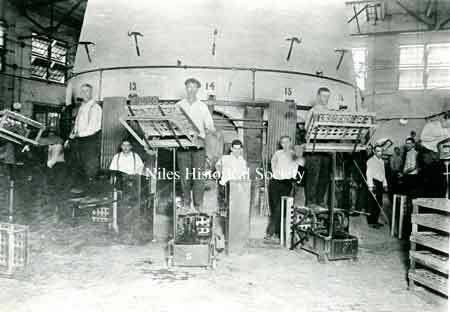 Blowers on pedestal moulds left to right: E. McGowan, John Curtis. 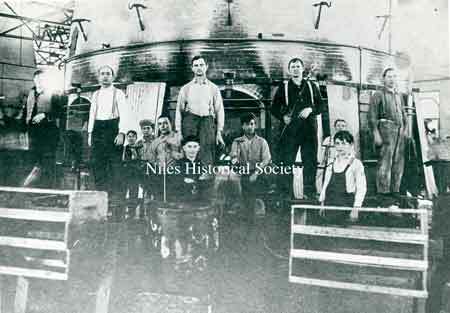 Gatherer at station 14- Mr. Sebinaller. The Harris Automatic Press plant was constructed in 1904 with a Board of Trade grant of $1500.00 and a free site. 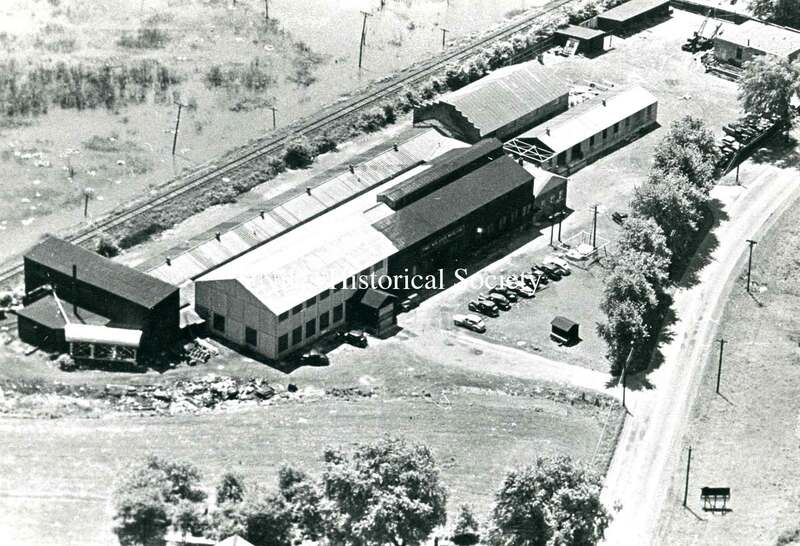 The DeForest Sheet & Tin Plate Company was built in 1915 on the west side of North Main Street at the outskirts of town. It was sold to Republic Steel Company in 1919 and was still a working plant in 1976 when the Directory was published. 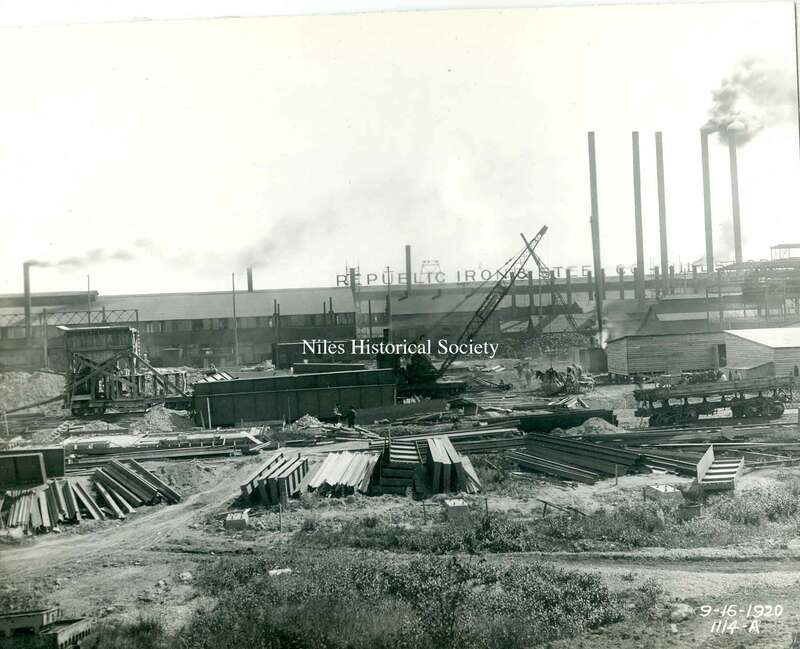 The three images below show the expansion of the Republic Iron & Steel mill in 1920. Erie Street view of the Niles Car & Manufact-uring Company built in 1901, makers of one of the finest lines of plush electric cars of the area. 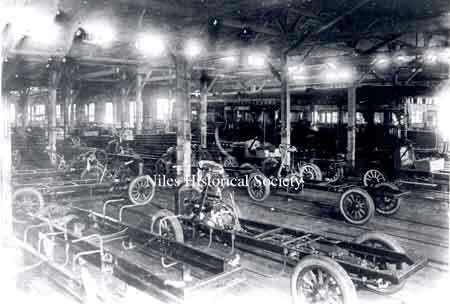 In 1917 the production was shifted to truck chassis. 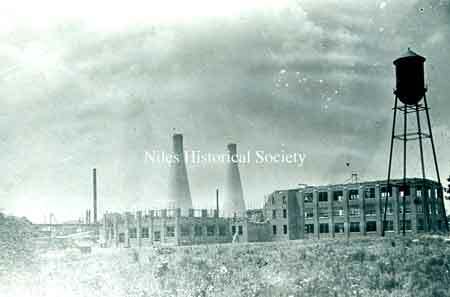 During WWI, the company became Engel Aircraft, manufacturing components for airplanes. 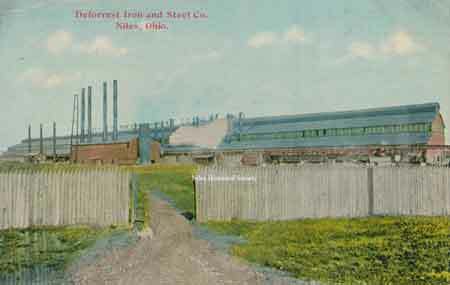 It later became Stevens Metal Products and today is the home of the Cleveland Container Corporation. Of the many diversified industries in Niles just after the beginning of the twentieth century, the Bradshaw Pottery Company, which provided employment for approximately 200 people, ranked high in the industrial develop-ment of Niles. 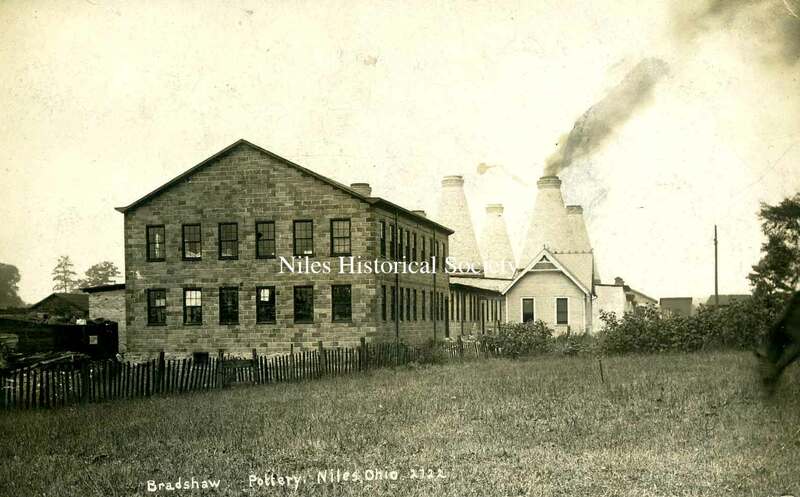 Early in 1901, an announcement was made regarding the construction of a pottery.The building was built of brick and tile, 72 feet by 400 feet. Only the latest and most improved machinery was used and the highest skilled laborers were employed in producing good quality earthenware. By late October of that year, the Bradshaw Pottery was in full operation, producing tableware with decal styled decorations. Thomas Steel Mill was a new rolling mill established by W. A. Thomas in 1902. 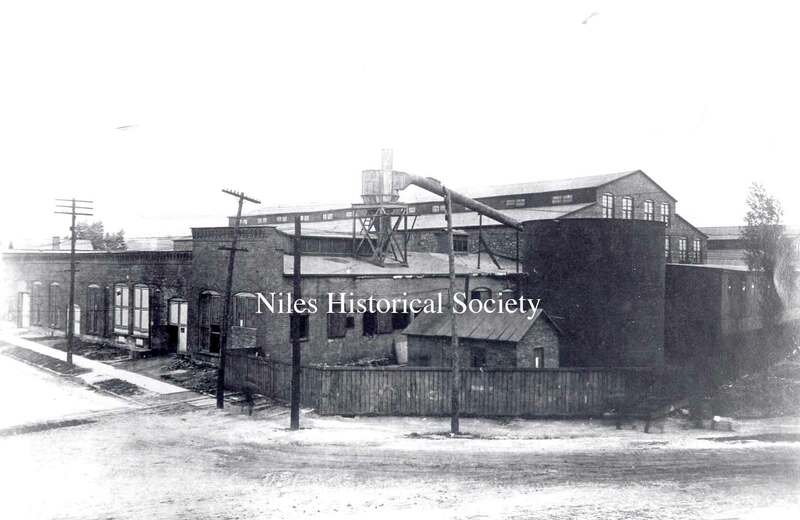 It was located on Walnut Street and was dismantled during the 1930 Depression.